Susie Saur, can be fondly remembered as the heart of CLC. Susie and her family began their conductive education journey in 1995 when they traveled to a conductive education camp in Ontario, Canada followed by a long stay in Budapest, Hungary, home of conductive education. 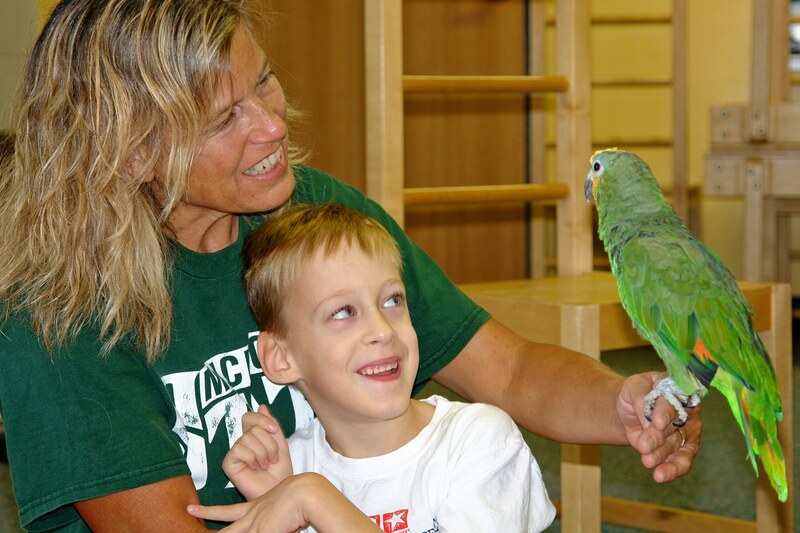 The Saurs’ son, Dan, experienced a positive experience with conductive education, which fueled their effort in the late 90’s to bring conductive education to West Michigan. Susie and her family’s mission to initiate, support, and grow the Conductive Learning Center did not stop when the doors opened. Susie poured her love, attention, sense of humor, and strong work ethic into CLC each and every day. She volunteered for the center and worked with the staff to do whatever it took to “get the job done.” No task was too big or messy for Susie. The memory of her smile still warms the heart of every student and family she met. Susie was a great advocate for Conductive Learning Center and the many students who came through the doors. Sadly, Susie Saur lost her courageous battle with cancer on December 31, 2012. The caring and compassionate way she lived her life, will echo through the halls of CLC forever.